The following article was not written by me, but by a former mentee of mine, Anne Macalintal. 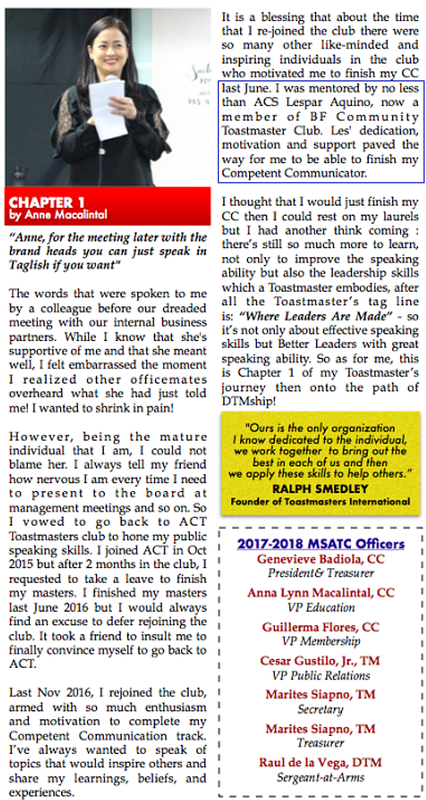 It appeared in the Maiden Issue of Southern Voice, the Official Newsletter of the Metro South Alabang Toastmasters Club (MSATC) last October 28, 2017. I referenced a portion of this article (boxed in blue, below) in the powerpoint presentation of my Mentoring Educational Talk.